Welcome to the Kuppam Rural Electric Co-Operative Society Limited (The KRECS Ltd., Kuppam), generally known and called as RESCO, Kuppam, web land. 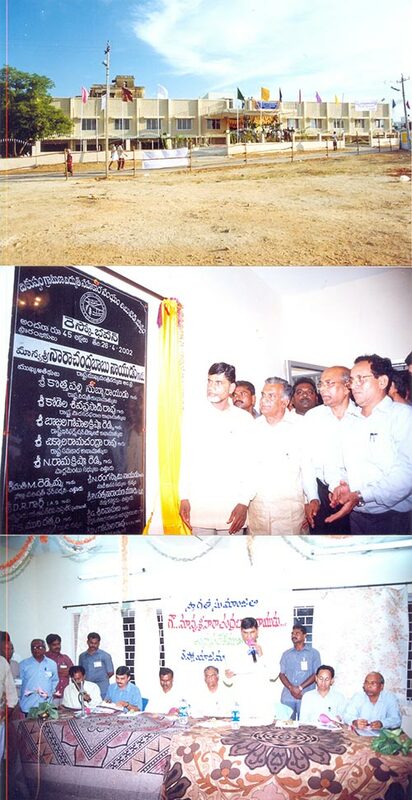 The Kuppam Rural Electric Co-Operative Society Ltd., Kuppam was established during 1981 with the aim of 100 % rural electrification of backward Kuppam Constituency by Sri B. R. Doraswamy Naidu, the then M.L.A., of Kuppam with the encouragement of Sri. 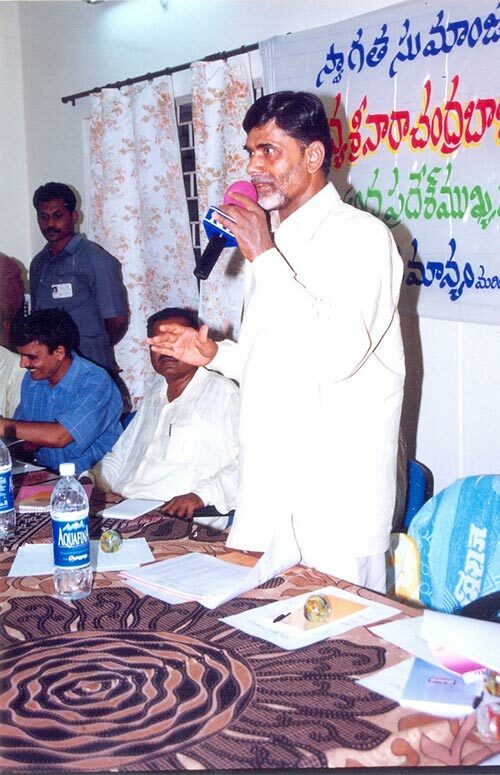 N. Amaranatha Reddy, the then Cooperative Minister. Our firm engaged in the supply of Electricity to its members which registered under the A.P. Co-operative Societies Act 1964 vide C.R. No: 505 The By-laws were registered with the Divisional Cooperative Officer, Madanapalli on 21-07-1981 with the name “THE KUPPAM RURAL ELECTRIC COOPERATIVE SOCIETY Limited, KUPPAM”. The A.P. Government issued license vide G.O. Rt.No:51 Dt: 10-05-1982. The main objective of the Society is to electrify the rural areas of Kuppam Constituency and to give supply easily to its members with lesser formalities as and when required with the contribution of shramadhan of the members. The Society have fulfilled its objective of 100 % rural electrification within 3 years of its starting than the stipulated time of 5 years. 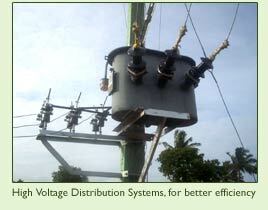 The Society started High Voltage Distribution System to serve its Agricultural consumers in a better way. In this system, the high voltage 11 KV line will be laid nearer to the service connection. For 2 nos., connections, one 15 K.V. transformer will be erected. With this system, guaranteed voltage will be assured to the consumers. Voltage fluctuations will be avoided. Theft of power will be arrested. Line losses will be minimized. The KRECS achieve the required benefits like (1) Improve Voltages in the problematic areas by installing 16/15 KVA Three Phase Distribution Transformers, (2) to reduce the L.T Line losses (3) To arrest the Pilferage of energy (4) New high accuracy meters will be erected in respect of domestic consumers thereby improving the Society’s revenues. To improve the revenue in the Society besides the Social benefits in the area like improve the economic status of the Poor, better living conditions and health convenient life style using electrical gadgets and finally achieving green revolution. The Government of India, Ministry of power have sanctioned a project of Accelerated Power Development and Reforms Project (APDRP) for the HVDS. 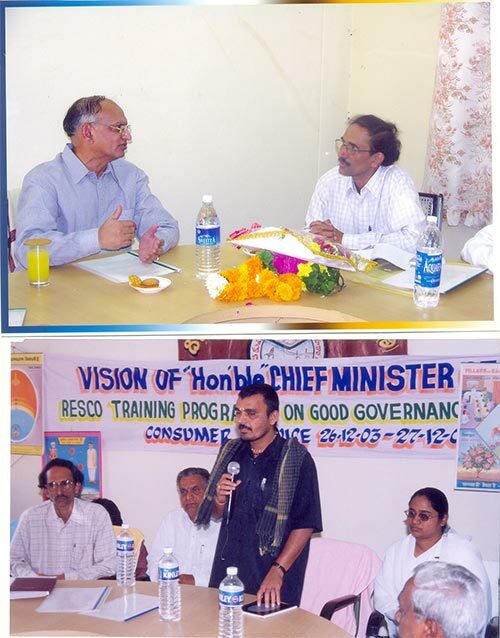 Sri Aravind Jadhav, Joint Director, MOP, GOI during his visit to RESCO, Kuppam appreciated the H.V Distribution works taken up by RESCO in remote areas with low voltage complaints and suggested to go ahead using RESCO's resources until the 1st tranche of sanctioned amount is released by the Ministry Of Power, GOI and get it reimbursed subsequently, as is being done in DISCOMS. Hence, estimates are being sanctioned for such identified severe problem areas and works are being taken up since, to improve Voltages and reduce line losses. Meanwhile, the 1st tranche of sanctioned amount i.e. Rs. 1,37,50,000-00 as "loan" at 12% interest repayable in 15 annual instalments is released by the M.O.P, GOI. Conversion of existing L.T distribution system of agricultural consumers to H.V distribution system to reduce line losses and improve tail end voltages. Sectionalisation of 11KV feeders with over loaded conduction so as to improve supply conditions without interruptions. High accuracy metering to services with high-connected load to improve metered sales. Estimates shall be formulated accordingly and all such estimates exceeding Rupees 5 Lakh shall be intimated for prior approval of Hon'ble A.P.E.R.C and works shall be taken up there after. After successful completion of the Model Pilot Project for Rs. 2.75 Crores, further scheme proposals shall be taken up duly appraising the progress achieved in Model Pilot Project to the Ministry of Power, Government of India which has allowed to raise an equal amount of COUNTER PART FUNDING by REC, New Delhi, backed by a '' Guarantee'' by the Government of Andhra Pradesh. To undertake all necessary construction works for due, reliable and safe supply of Electric Energy. To establish or encourage establishment of local organizations for the procurement, sale, installation. Serving and proper use of electrical appliances. 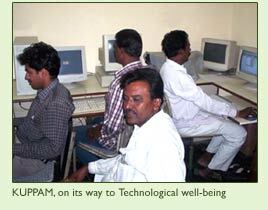 To undertake promotional works for intensive utilization of Electric energy. 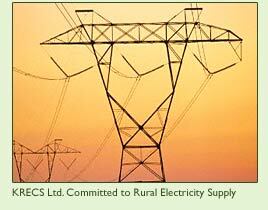 To educate the consumers in safe and economic utilization of Electric energy.